The first MiniMoFo of 2017 is all about trying new things: new cuisine, new ingredients, new equipment…or simply new (to me) products in the UK. Despite living abroad, most of my social media is full of exciting vegan finds from the UK, so it was nice to be back on home shores to try some of them at long last. These products aren’t brand new, but it was my first chance to try them and I was very, very excited. 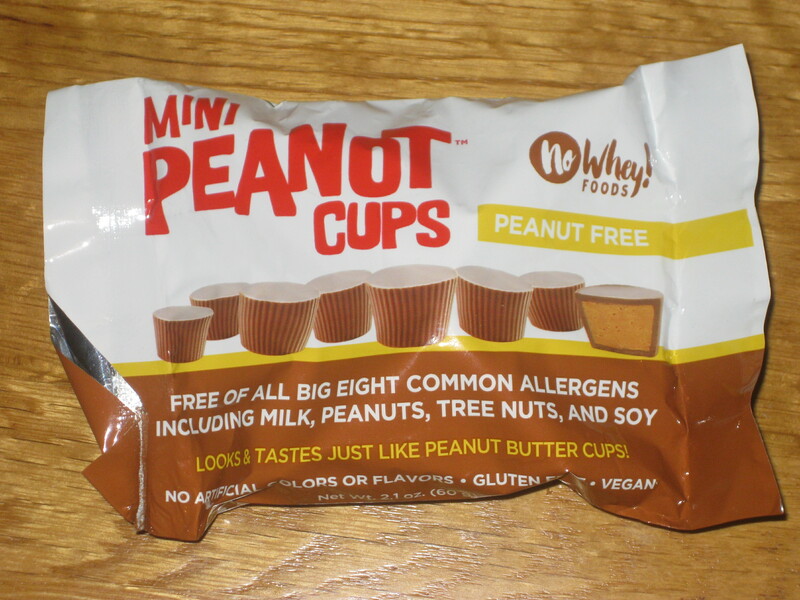 These are accidentally vegan and may have been around in 2015 as well, but this was the first time I went to a Tesco big enough to stock them. They were in the freezer with the party food, which was being blocked by a ditherer, and Dr HH had to hold me back from knocking her out of the way and running to the tills cackling gleefully with my precious loot. They would have been worth it: they were delicious! They just needed heating in the oven, and then sprinkling with a sachet of cinnamon sugar. The filling was lovely and Nutella-esque. 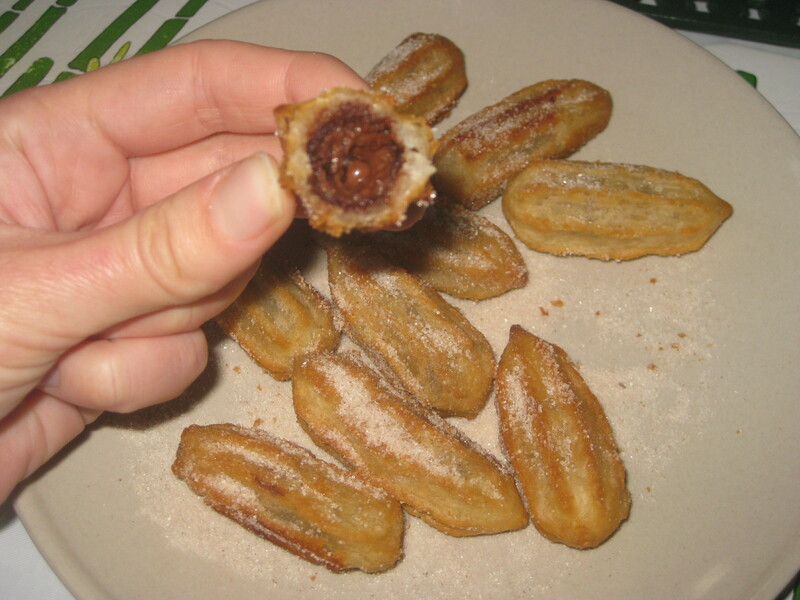 Dr HH insisted that we share these with his parents, who had just returned from their first trip to Spain but had never had churros. They were a hit with everyone. After I read Jojo’s review of this cheese over at Vegan in Brighton, I knew I had to try some. I asked my mum to order me one kind, so of course, she got me three. 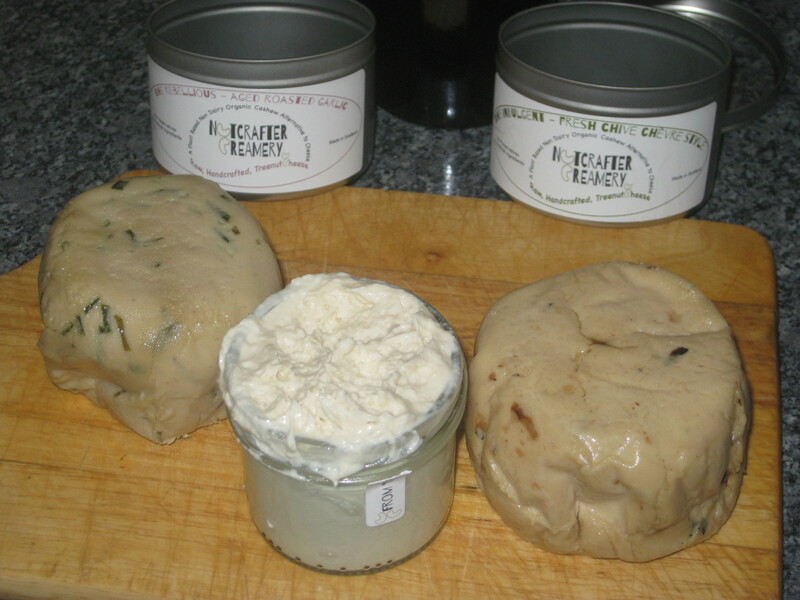 The Indulgent Fresh Chive Chevre Style was very good and herby. 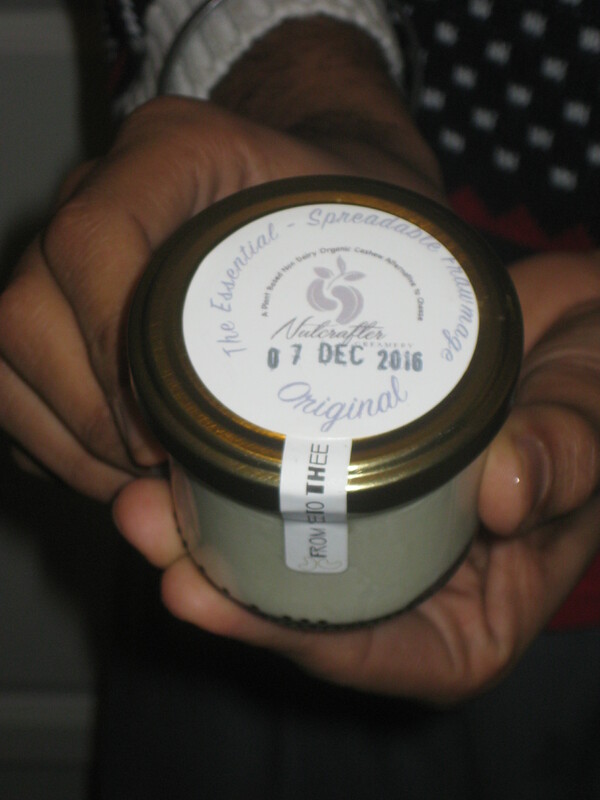 I liked The Essential – Spreadable Frawmage, though it burst out of the jar when I opened it (they had all been frozen and defrosted). This wasn’t as flavoursome as the others, but I really enjoyed it on crackers. And, saving the best for last, The Rebellious – Aged Roasted Garlic. This has so much flavour, I wish I had an endless supply to it. It was absolutely beautiful. The only thing that stopped me from eating the whole thing in one sitting was a sense of decency and shame. Vegan cheese can be a bit of a minefield, and I’m quite cautious with it. This is the only time I’ve actually sat down to eat cheese and crackers like I did in my pre-vegan days, and I enjoyed it so much. For cooking, I would stick with Violife and other brands you can get quite easily in supermarkets nowadays. But if you’re trying to put together a vegan cheeseboard, or you want to convince non-vegans that they could survive dairy-free, then this is your top choice. It’s the big cheese. I waited patiently to be in the same country as these chocolates. They were worth the wait. They are the Italian gianduja chocolates: hazelnut and chocolate, that winning combination. 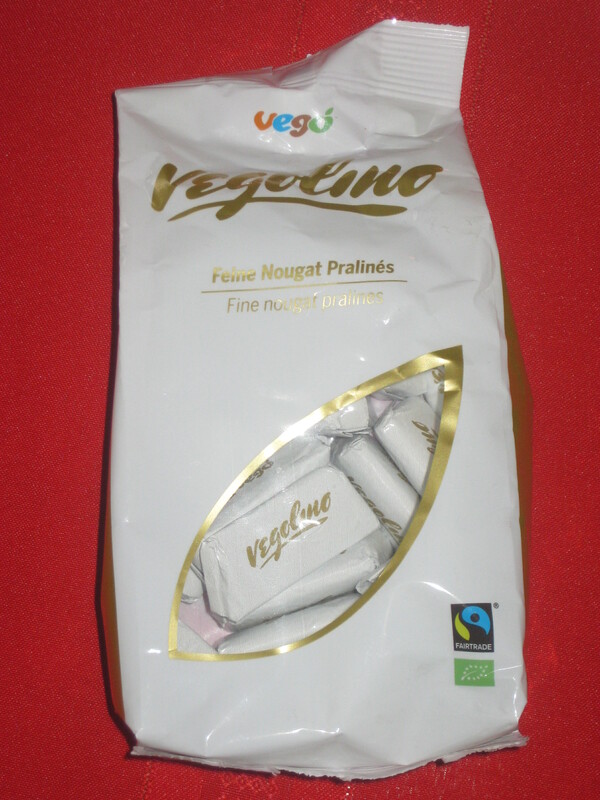 Vego bars are generally held up as the best vegan milk chocolate, and this is their new spin-off. Of course, they are delicious. 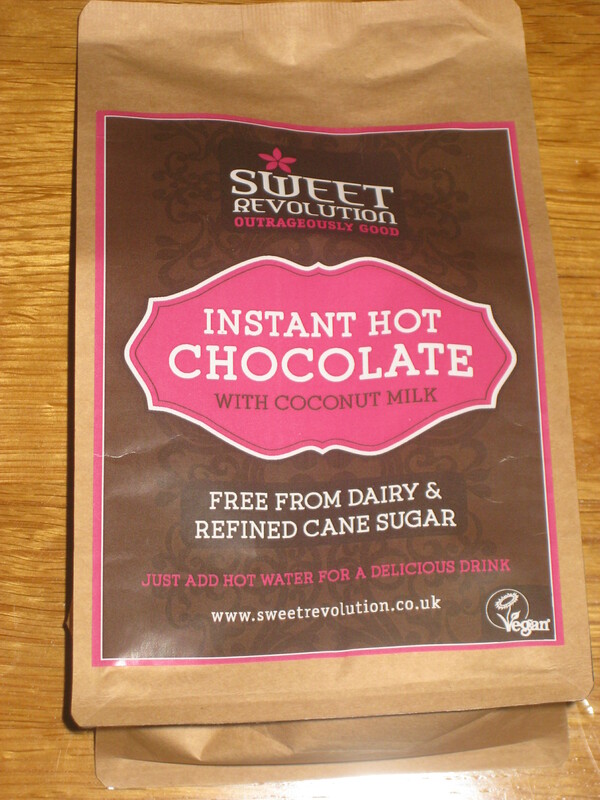 Instant Hot Chocolate is quite an elusive product in the vegan world, as so many brands contain powdered milk. In fact, this is the only vegan one I know of. It’s not cheap (around £5 a bag, depending on where you order from), but it’s ok for an occasional splurge. You can mix the powder with milk or hot water, depending on how creamy you like it. I tried both, and the milk was obviously better, but both were fine. The hot chocolate came out with a lovely hint of coconut which made it extra delicious. I’d say it’s much better than the non-vegan instant hot chocolate powders in the supermarket…but at this price, it really should be! I’m a fiend for peanut butter and chocolate, it’s just such a good combination. 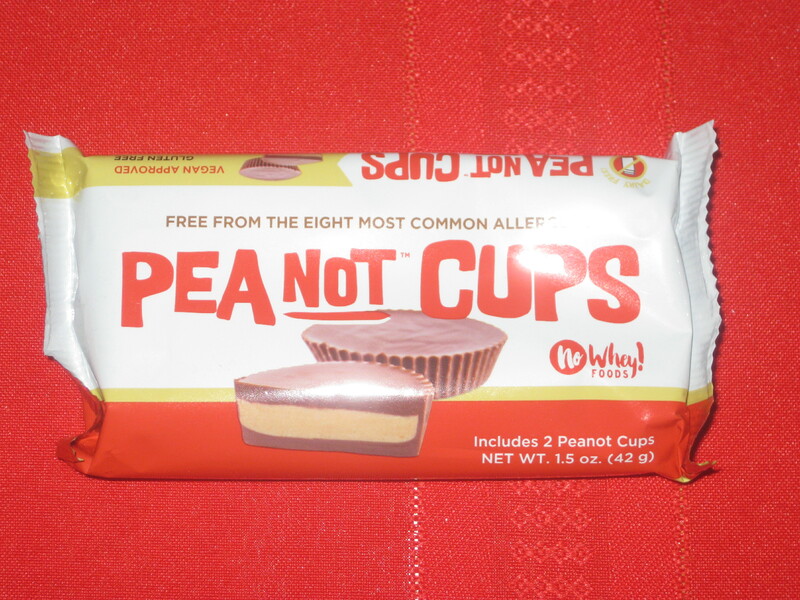 I’ve had a few different kinds of vegan peanut butter cups, and these ones are a great option. The jumbo cups are probably better, but the little ones made a great cinema snack and would probably be great for baking with. Bonus for anyone with a nut allergy: they don’t contain actual nuts! I don’t have much experience with Fry’s products, though they’re now quite readily available in Holland & Barrett and some supermarkets too. I really love fake prawns in Asian dishes, so I was keen to try these. They’re not as good as the ones I was thinking of, and in fact they seemed a little Quorn like in texture, but I enjoyed them nevertheless. I don’t think they’d fool anyone into believing they were the real deal, so I might try some Asian supermarkets next time and try to find something more convincing. Have you tried any exciting new products lately? Are there any other incredible UK products I should try to get my hands on next time I’m home? 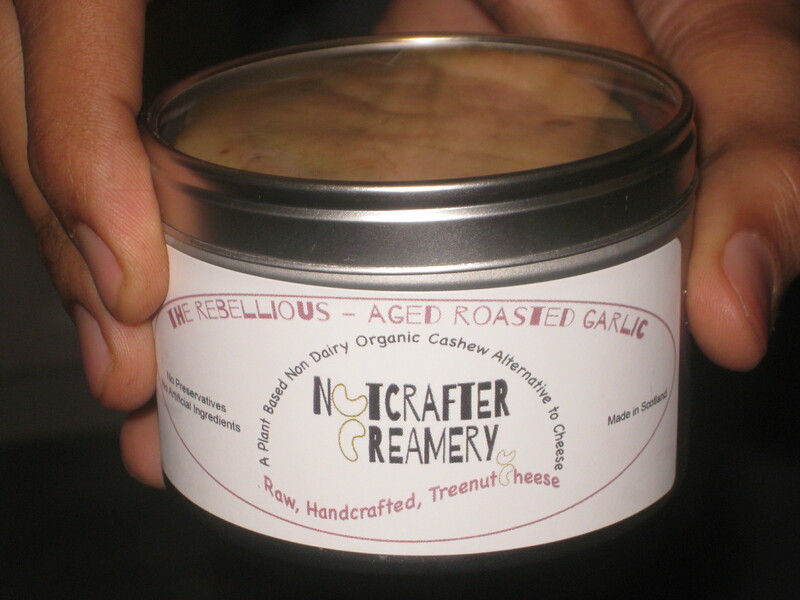 This entry was posted in General and tagged MiniMoFo, Nutcrafter Creamery Cheese, UK vegans, vegan products, Vegolino. Bookmark the permalink. I’m such a bad Brit, I’ve not tried any of these! Well, I’ve tried one product from the No Whey! people – peanut no-nos I believe they’re called, like mini peanut M&Ms, and they were delicious. My dad bought me them from America though, as they’re much cheaper over there I believe. 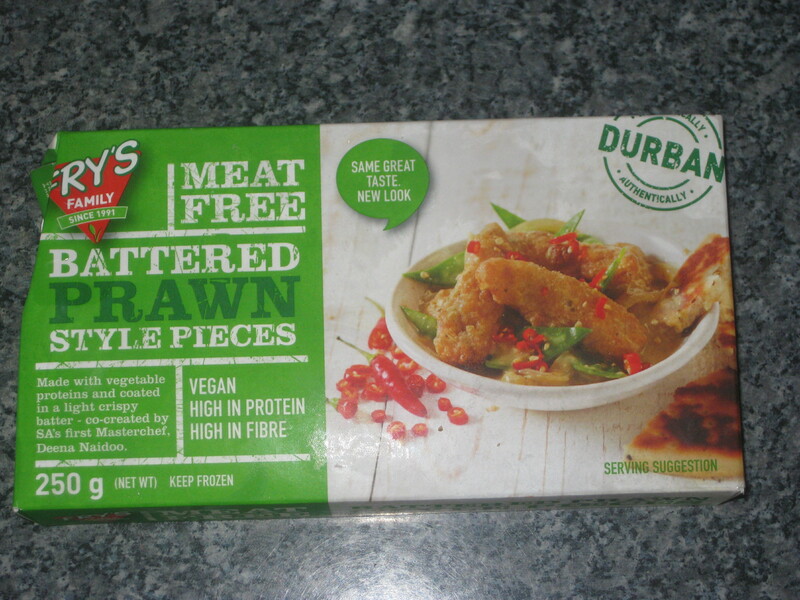 I had the new Quorn vegan nuggets last week for the first time! I grew up in a vegetarian family and quorn nuggets were a go-to lazy dinner. They tasted exactly as I remembered them, nice and cosy. Served with half a bag of chip shop chips – perfect! The Fry’s products I’ve tried have been just okay. The chicken strips they now sell in Morrisons are quite bready, which is not too bad, but not too great either. Vbites is a world apart. Oooh, I don’t think I’ve ever had Quorn nuggets, but now I desperately want some with a bag of chips! The only Vbites product I remember buying is the falafel, which wasn’t amazing. Are their meaty/fishy things significantly better? Yes, definitely better! I like their fish fillets and their chicken pieces, and the slices they do are pretty good too. Oh and they do really good chorizo. We went to their cafe in Brighton and it was lovely. I’ll look out for them next time! Actually, now I think about it, I got some chicken salad from their cafe in Chester in summer, and the meaty pieces were really good. I’ve been looking for those churros for ages, and never seen them – I guess they’re only in special Tesco’s not near me! They do look good though. I’d be right with you pushing the ditherer out the way. 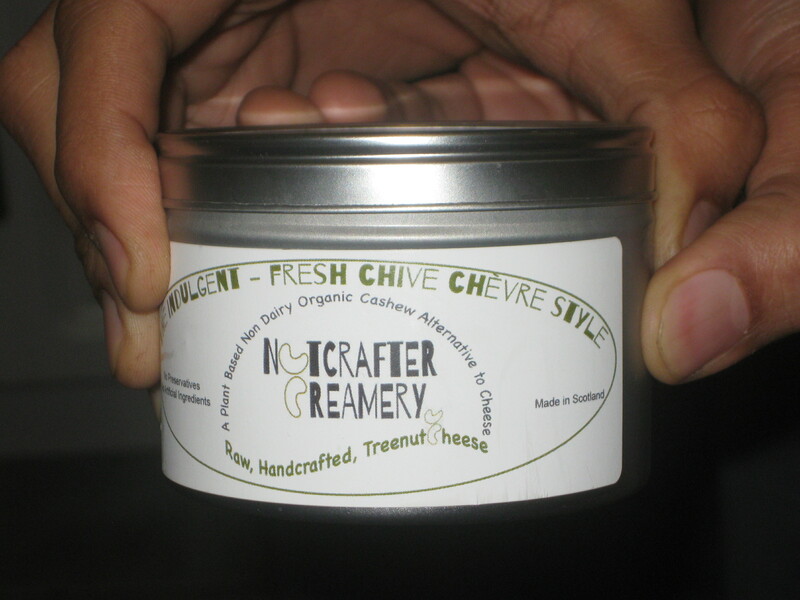 I have had the Nutcrafter cheese though – definitely good stuff! 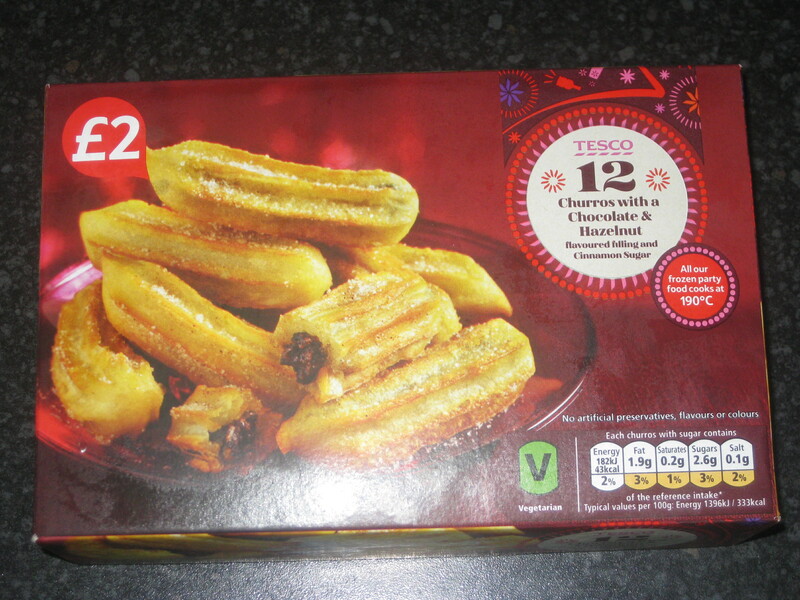 I’ve only seen the churros in the huge Tescos, so if there’s one of the megastores near you then you might be in luck. As for vegan hot chocolate, the Starbucks instant hot chocolates are now vegan! I got one as a gift and was ready to give it away, and saw it didn’t have any milk! Granted you need to mix it in with milk, unlike most hot chocolates that use water. I wonder if the Starbucks in Europe sell the instant mixes? Interesting, I’ll look into it. That packet is long gone, so I’d definitely like to have a replacement!